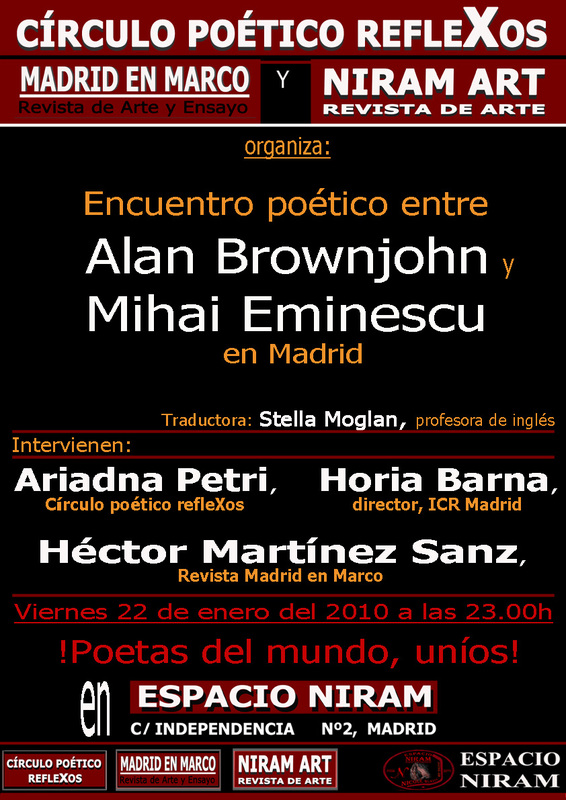 Friday, the 22nd of January of 2010, a bilingual poetry recital, in Spanish and English, of Alan Brownjohn’s poems will take place at Espacio Niram, Madrid, entitled “A Poetry Exhibition”. The poems will be recited by Alan Brownjohn himself, together with the Spanish poet Héctor Martínez Sanz and the Romanian poetess Ariadna Petri. 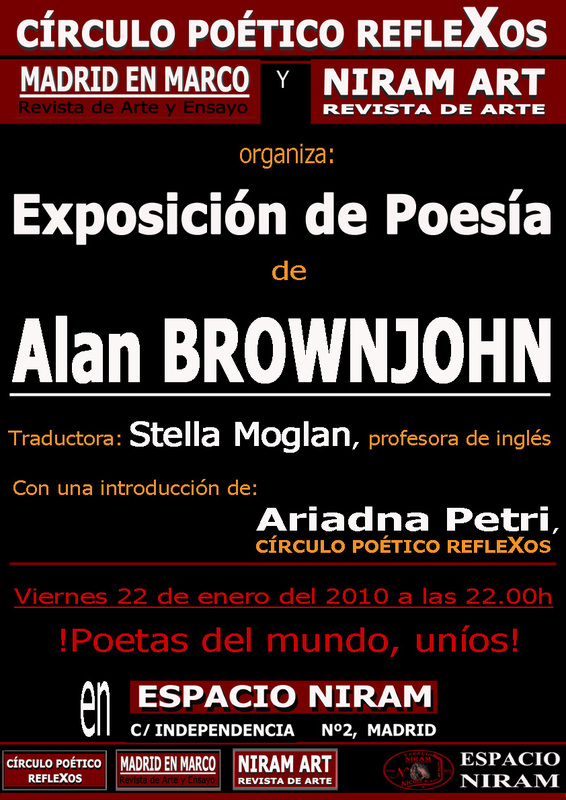 Brownjohn`s poems were translated into Spanish by Stella Moglan. The event is organized by the Poetry Circle “Reflejos” founded by Ariadna Petri, with the support of the Cultural Magazines Madrid en Marco and Niram Art. 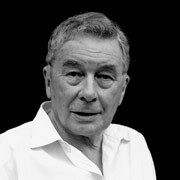 Alan Brownjohn is a poet, translator, novelist, editor, and critic, born in London in 1931. He first came to prominence as a member of The Group in the late 1960s but seems closer in style to the Movement poets of the mid-1950s. Brownjohn emerges as postwar British society’s most accurate recorder and its most penetrating satirist. He brings a similar questioning intelligence to bear on personal relationships, winning an increasing reputation as a subtle and inventive love poet. His latest volume was publihsed in 2004, The Men Around Her Bed. The Poetry Night will continue with an Encounter between Alan Brownjohn and Mihai Eminescu. The British poet will recite poems of the Romanian national poet Mihai Eminescu (1850-1889) and Horia Barna, director of the Romanian Cultural Institute in Madrid (ICR Madrid) will offer a presentation of Eminescu’s works. The poetic encounter will also benefit from the interventions of Héctor Martínes Sanz and Ariadna Petri, who will complete the contemporary glance at the poetic works of Mihai Eminescu from a poet’s perspective.